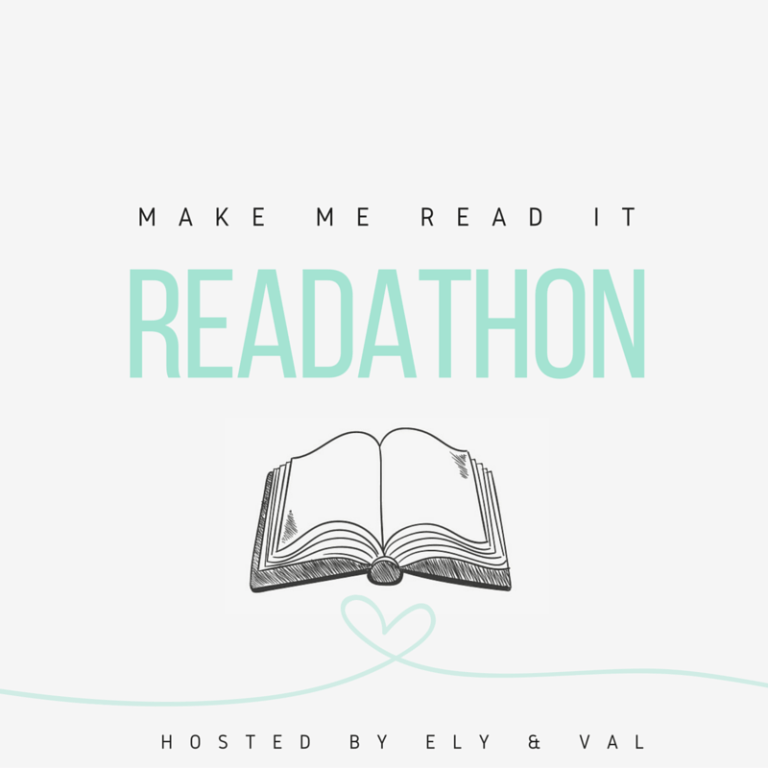 This is the first time I’m participating in the Make Me Read It Readathon hosted by Val (The Innnocent Smiley) and Ely (Tea & Titles), the readthon is taking place from July 9th to July 16th and we are using #MakeMeRead on Twitter and Instagram. I’m gonna be honest, I’m really nervous about this. You may wonder why, it’s just a readathon after all. Well my friends, the reason is that I’m a mood reader. I confess, there’s nothing I can do about it, if I don’t feel like reading a book it’s probably gonna be left unfinish until another time or it’s gonna get a bad rating. If you don’t know how this readathon works you may still not know why I’m worried, so let me explain that first. What you have to do in the Make Me Read It Readathon is “look at the books you own, either physical, e-book or ones you’ve borrowed from the library and pick out a few you really want to read, or feel like you should read. It’s up to you how many you pick, personally I’d pick a few more than you expect to be able to read in a week. Now you see why I’m nervous? You guys are gonna choose the orden in which I’m gonna read a few books that are high on my tbr. I chose this book thinking about what I feel like reading right now, so I hope I’m in the mood for these books when it’s time to read them. Anyway, here are the options, so you can vote. Have you read any of these books? Did you like them? If you are participating in the readathon leave me a link, I would love to vote in your poll. Good luck with your readathon, and I think you should read THE ROYAL WE!!!! Good luck with your read-a-thon! If you want to vote for my read-a-thon, you can. Here is the link. I can be a mood reader too, but I picked a variety of books and I aim to ahve fun. If I have trouble getting through one I will go onto the next 🙂 I hope you're able to still have fun with this! I voted Siege and Storm because I'm doing a re-read right now! The Crown's Game was also really good though. I voted for Siege and Storm because it's the only book I've read of your list! But the other books sound nice to so I'm sure you'll have fun! I actually don't know any of these titles…. But I still voted!! LOL (the one with the most interesting title). Happy reading! Hahaha I think it's fine to be nervous! I'm a mood reader too so I hope that I actually end up enjoying the books that are picked! Thank you so much for joining! I ended up voting for Passenger, since I have yet to read the others! You should definitely read Passenger, but only so I can see your review and decide if I want to try it ;). Siege and Storm is good as well. Good luck with your readathon! This readathon makes me a little nervous too, because I tend to be a mood reader. It's been so fun to watch people voting for my next reads, though, that I think it's going to be okay. 🙂 I hope you read The Royal We (sometime, even if not for the readathon) because it's an awesome book! Love Leigh's books so I had to choose that one! Would love if you helped me by voting too thanks!